Auf Der Strecke, a short film from Germany and Switzerland, is one of the nominations for Best Short Film (Live) at The Academy Awards 2009. The 30 minute German language film explores the consequences of ethical choices, conscience and order. A department store security guard (Roeland Wiesnekker) is secretly in love with a clerk (Catherine Janke) in the store’s bookshop. When he witnesses a seeming rival being attacked in the train, he gets off instead of helping him – a decision with devastating consequences. Play the trailer here. 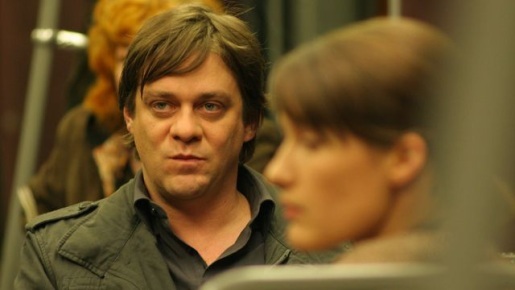 Filming was written and directed by Reto Caffi via Blush Films, Zürich and Academy of Media Arts, Cologne, with co-writer Philippe Zweifel, director of photography Piotr Rosolowski, and editor Thomas Bachmann. Sound was designed by Andreas Hildebrandt. Music was by Ivo Ubezio with Daniel Jakob and Oli Kuster.